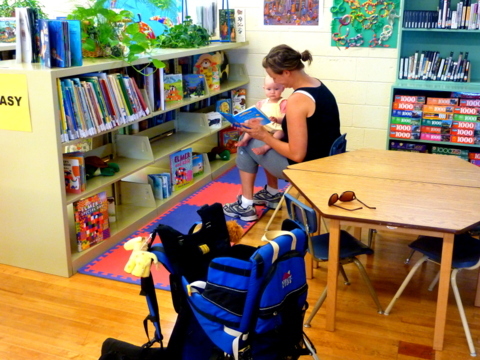 The Rolling Hills Public Library is a full service member of the Shortgrass Library System. 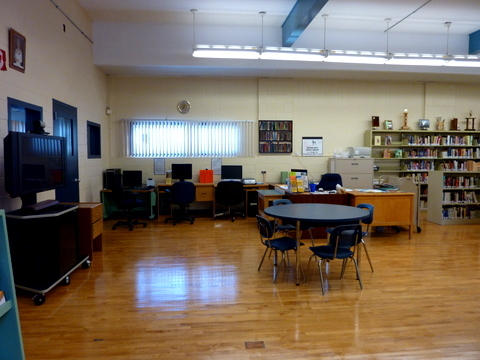 Located in the Rolling Hills School, the library has all types of publications, printed, digital, and audio, available either on site or by order. The Public Library, through the Shortgrass system, is able to offer members full online access to place orders, renew borrowed items, or log into databases and services ranging from computer training and academics, to car and truck repair. The library has an extensive collection of in-house material from reference books to novels and local history books. 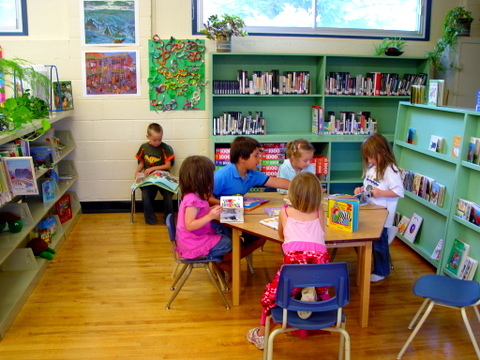 The children's section contains a large collection of learning material that includes talking books, DVDs, and all the usual printed books. The area is set up with colorful, child-friendly furniture and shelving arranged to allow children easy access to material. Rolling Hills Public Library is connected to the internet via high speed fibre optic line and has three computer stations for public use. Printing and scanning services are available and knowledgeable staff are present to provide technical assistance. The library is also equipped with a fully inter-active video conferencing system that allows participants to attend "virtual" lectures and presentations, with the ability to see and speak to the remote location in real time. The system is also available for individuals or groups to arrange video conferencing sessions that can connect with other similarly equipped institutions, or to separate computers and mobile devices, if adequately equipped. The system can accommodate multiple locations with inter-active features enabled, and an unlimited number of connections for viewing without the inter-active ability. Membership is no cost to County of Newell Division 1 residents and gives access to all 14-member libraries in the Shortgrass Library System. Hours of operation (except holidays): Monday & Wednesday evenings, 7-9pm, Wednesdays, 9-11am and 1:30-3:30pm.